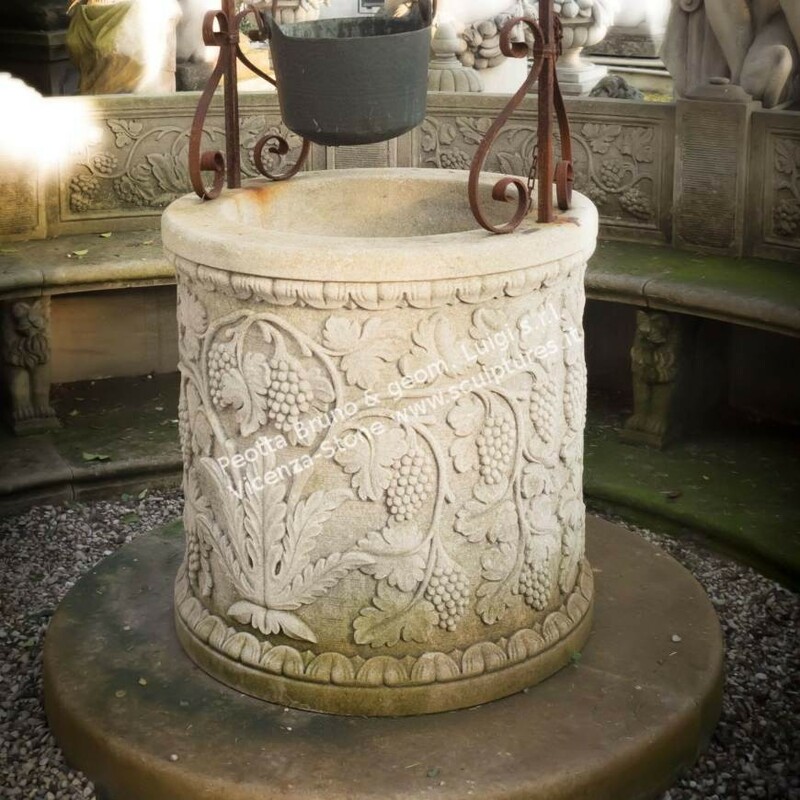 Well carved by hand with decorations and grape leaves complete step round and handmade iron. 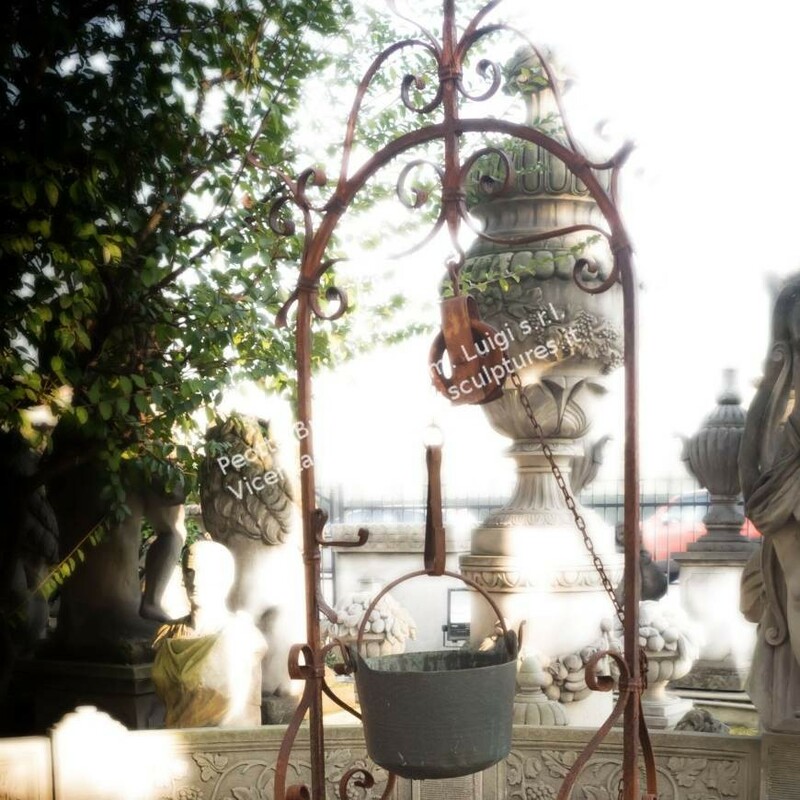 The well is 'the symbol of the city' of Venice then used in parks and Italians around the world. Some well have wrought iron supports with a few yards of rope pull up their copper buckets by hand.